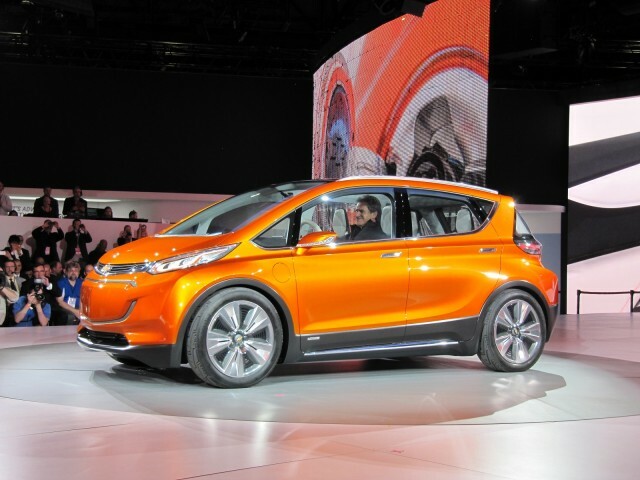 Not long after its unveiling at January's Detroit Auto Show, General Motors promised to put the 200-mile Chevrolet Bolt EV electric-car concept into production within two years. But there's already a problem with that plan. It has nothing to do with the claimed 200-mile range or $37,500 base price--both of which could prove challenging targets--but rather the car's name. The United States Patent and Trademark Office (USPTO) has suspended GM's application to register the Bolt trademark, according to Autoblog. 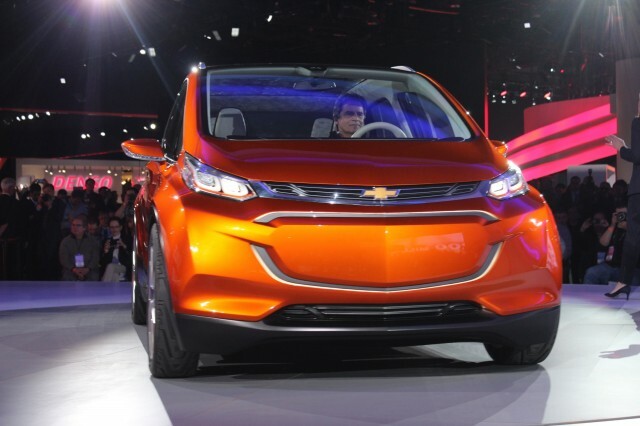 UPDATE: Chevrolet subsequently contacted Green Car Reports to provide a more recent status on the Bolt trademark. According to Annalisa Bluhm of Chevrolet communications, "Chevrolet has been working closely with the USPTO on the Chevrolet Bolt trademark. "As of last week, our legal staff received consent from Yamaha to use the Bolt name," she wrote. "According to our legal team, our USPTO application is back to active status." The application was suspended because of a perceived "likelihood of confusion" with another trademark. 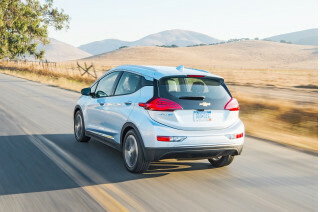 It turns out Yamaha filed for a Bolt trademark on August 9, 2012--well before GM began its effort to trademark the Bolt name for a Chevrolet electric car in 2014. Yamaha currently sells a motorcycle called the Bolt under its Star sub-brand. GM's application will remain suspended until the Yamaha application is "either registered or abandoned," the USPTO says. However, at least some industry watchers would probably prefer it if GM just let the matter drop. The Bolt name has received some criticism for--among other things--sounding too similar to Volt. 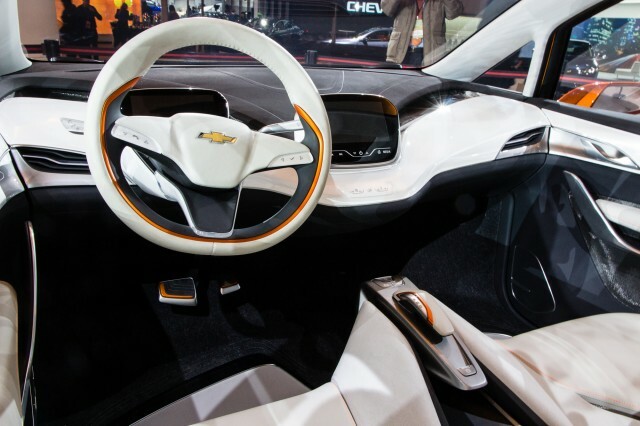 Whatever it ends up being called, Chevy's 200-mile electric car is expected to start production in the second half of next year. That means it could go on sale early in calendar-year 2017--as either a 2017 or 2018 model. It will be built in Orion Township, Michigan, alongside the gasoline-powered Chevy Sonic--with which it will share a platform, according to previous reports. The car is also designed to support DC fast charging using the Combined Charging Standard (CCS) employed by every major U.S. and German automaker except Tesla. And it will also be one of a handful of new longer-range electric cars hitting the market in or around 2017. The next-generation Nissan Leaf is expected to offer multiple battery-pack options, allowing range varying from 84 miles to 120 or possibly 150 miles. Like the Chevy, the Tesla Model 3 also claims a 200-mile range, as well as an estimated base price of $35,000 before any incentives. Whether Tesla's third-generation car will actually go on sale by the end of 2017 remains unclear.